Train. Race. Inspire. 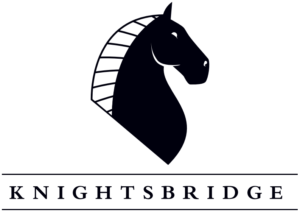 is a growing sporting goods brand primarily focused on Triathlons. 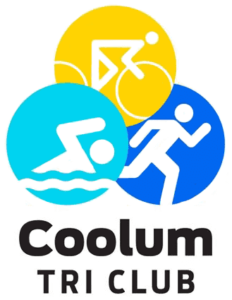 Based in Coolumn on the Sunshine Coast, Queensland, Train Race Inspire has built a community of dedicated triathletes who actively train with and endorse the Train Race Inspire Brand. Train Race Inspire has a good offline presence but hardly existed online. They needed a simple platform to gain brand exposure and sell their active-wear and sporting goods online. Web3 built their new website. It has an integrated online shop where customers can purchase their products online and a news and events calendar section for customers to continue to engage with the Tristore. The Tristore name is short for Train Race Inspire Store and also ties in nicely to the Triathlon industry that they specialise in. Due to the website being brand new, it required some search engine optimisation (SEO) to build traction on the website. We ran a number of targeted ads in Google over several months until the naturally occurring Google search results could support the website with sales on its own. We sat down with Rob (the founder of Train Race Inspire) to determine the strategy and direction to take with the website. The market for online sports stores in Australia is very competitive. We concluded that we would need to create an innovative solution for the Tristore to be competitive in this space. At this time, some of the biggest names in sporting goods were still playing catch up online so we knew that if we acted fast we could deliver a solution that was ahead of the curve. The Tristore needed to be able to sell products online to anyone in Australia using anyones phone, tablet or desktop computer. 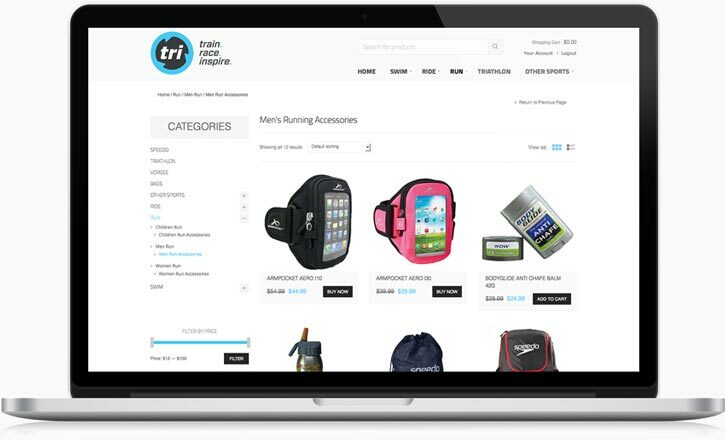 The Tristore needed to be able to sell products online to anyone in Australia. 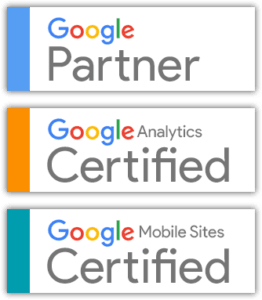 With the huge surge of mobile and tablet devices now accessing the web, we wanted to make sure that we were completely taking advantage of these customers. As soon as we built the website solution, we straight away started on making sure it could be accessed by as many new customers as possible. We achieved this through a mix of advertising on Google Ads and search engine optimisation on the website. 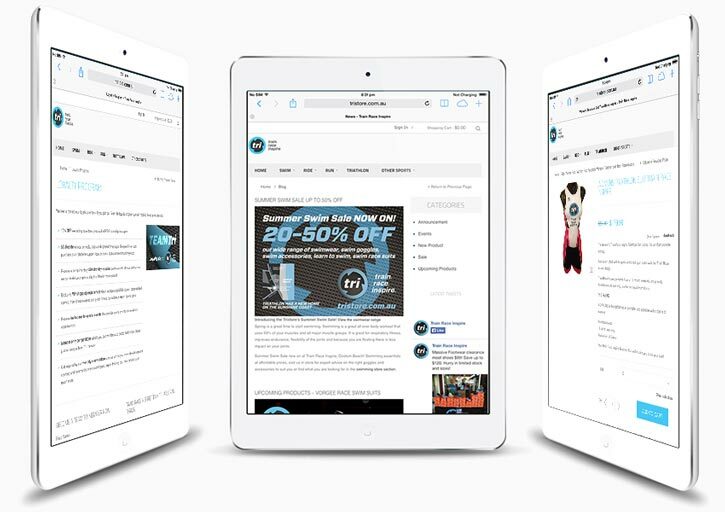 We also helped setup all of the social profiles so that the Tristore can continue to engage with their customers. 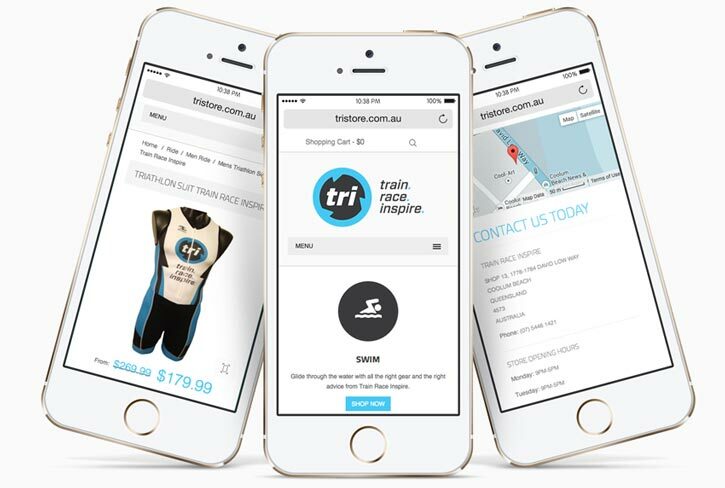 Armed with an online shopping experience optimised from the start for mobile shopping, the Tristore is one of Australia’s first truly mobile-optimised online sports store websites. Over one-third of all visitors to the Tristore are accessing the website from either a smartphone or a tablet. 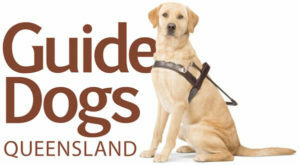 This considerable user-base would have been completely lost if the online store was not made accessible through Web3’s responsive and mobile-first website design techniques. The Google Ads advertising campaign helped get a number of initial brand advocates through the door from the get-go and the website SEO ensures a long lasting high ranking website in search engines. Since launching the website, we have achieved some awesome results..